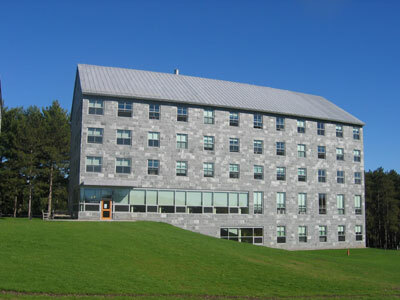 King Hall, a new upperclass dorm in the southeastern corner of the campus, opened its doors in the fall of 2004. 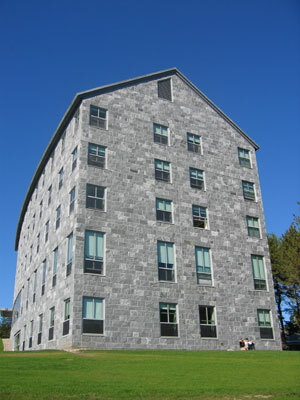 It is named for President Stanley King '03, president of the College from 1932 to 1946. Along with its neighbor Wieland Hall, King was designed by the Boston firm of William Rawn & Associates. (Amherst College Residential Master Plan website, December 16, 2004). (Photos taken 1 October 2004).